This is a stainless steel heart shaped washer, which can be hand stamped with any letters or numbers of your choice. It measures 25x32mm. As a guide, it can fit up to 3 names (depending on length), or up to 2 names and 1 date or a message of your choice. Please note that this is the pendant with one heart charm only, or you can add as many hearts as you like for an additional £3 each, perhaps one to represent each name you have stamped on the larger heart. If you would like to add a chain this can be added as an option below. If you would like to change the heart for a star charm, please state this is the 'what would you like stamped' box below. 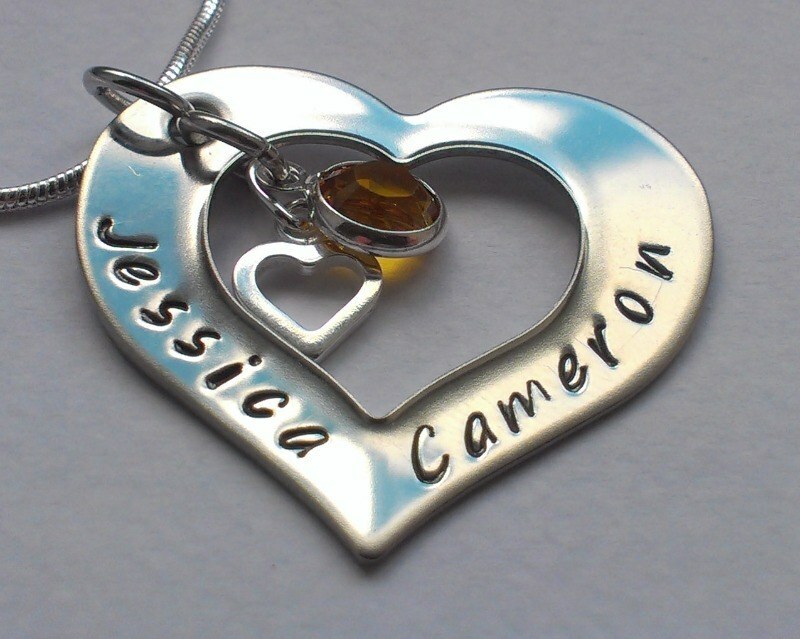 You can also add swarovski crystal birthstones in addition to the heart.